One of the most adorable members of the Polystachya orchid family ! 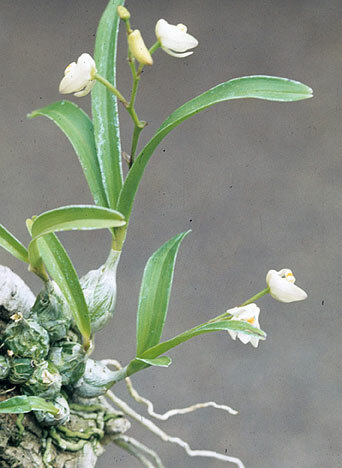 A miniature endemic to South Africa, it’s often found in forests and woodlands at 800-1600 meters, growing warm to intermediate under lower light. Its short terminal inflorescences produce 1-3 bell-shaped ¾” flowers from spring to early summer. Just too cute and easily tucked into any collection !